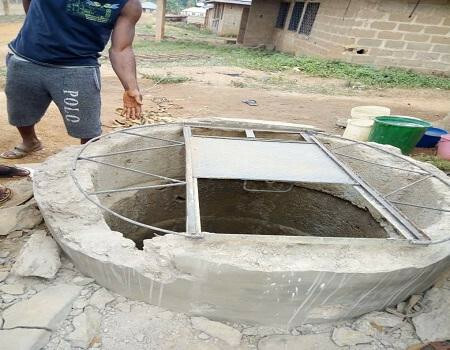 Four Higher National Diploma (HND) graduates including two brothers, drowned in a well they were contracted to dig at Zango quarters in Kabba in Kogi state on night Monday April 1st. The deceased persons whose names were given as David, Sunday, Ayo and Ogbekedo were well known for their specialty in digging wells in the area. According to reports, a primary school teacher, Mrs Agnes Baiyere, had allegedly hired one of the deceased, David, to dig a well in front of her newly constructed building in the area. David then invited three other of his colleagues to execute the job. They were said to have dug the well up to about 25 feet for about a week and even plastered the outer part of the well when two of them went back last night to evacuate some broken blocks that fell into the well.